(Digital) 2 Standard Sizes are available 3 7/8” x 8 7/8” & 4.25” x 11”. (Offset) 2 Standard Sizes are available 4” x 9” & 4.25” x 11”. 1.5” hole (4.25” x 11” available with an optional perf). If you have a custom size then please submit a Custom Quote. 12 pt. 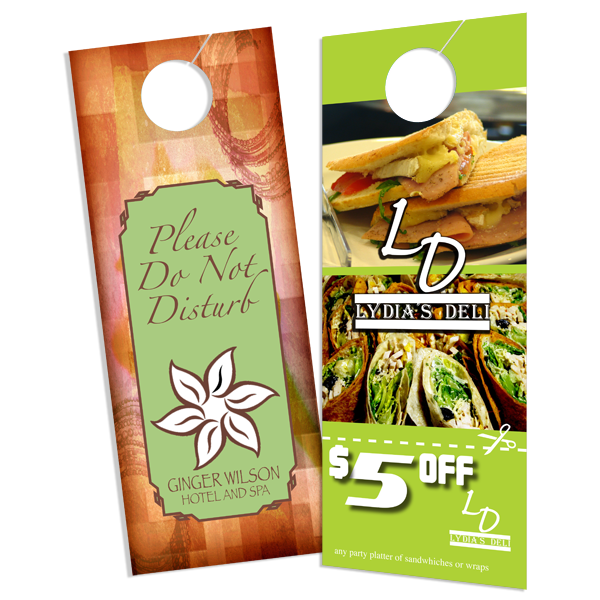 C1S (coated card stock - on one side - for 4/0, 4/1 or 4/4). 12 pt. 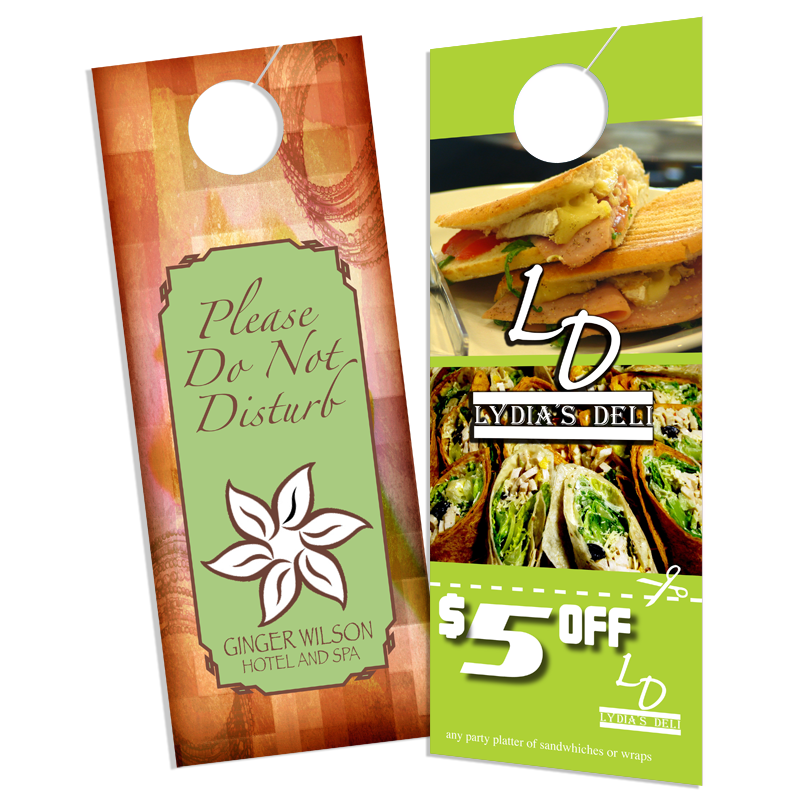 C2S ( coated card stock - on both sides - for 4/0, 4/1, or 4/4). UV Coating: Available on 12 pt. C1S front (4/0) and front and back (4/4) and 12 pt. C2S all colors, front and back. 4/1 projects are UV Gloss Coating available on front and back. UV coatings are not available on Uncoated stocks.